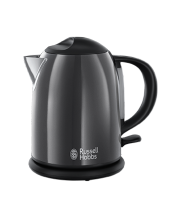 In a stylish Storm Grey finish that co-ordinates beautifully with the Breakfast Colours Range, this clever machine offers an amazing way to cook meals and snacks quickly and more healthily. 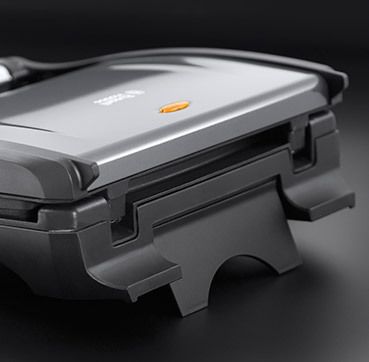 Thanks to its grooved grill design that helps to drain excess fat off food, it can reduce the fat content by up to 42%*. The fat drains cleanly away into a removable tray that can simply be taken off and washed. 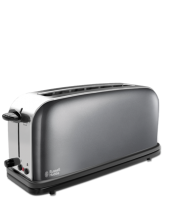 The Storm Grey Grill can be used for flat cooking, ideal for sandwiches and paninis, or the rear foot can be adjusted so that the grill is angled and all the fat can drain away. 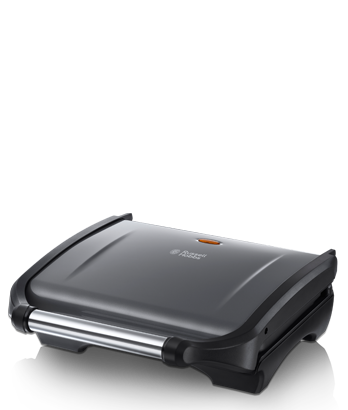 1600 watts of power and simultaneous top and bottom heat ensure very quick cooking results. 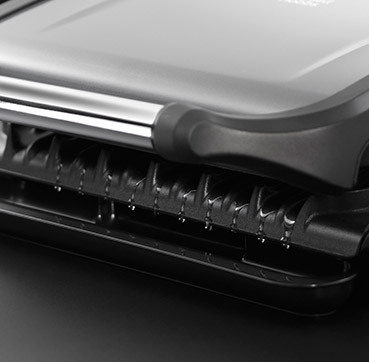 The grill cooks up to 5 portions at a time so you can easily cook for everyone at once. 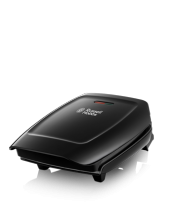 A versatile cooking companion for your lunch, dinner and sandwiches, it’s a fast food solution without the fast food guilt!